The California State University Board of Trustees has shelved the controversial fee vote which was set to take place Nov. 14 in the wake of the passage of Proposition 30. California State University Chancellor Charles B. Reed and the CSU Board of Trustees had proposed a vote that would have added three new student fees for the Fall 2013 semester. This would have included a graduation incentive fee, a third tier tuition fee and a course repeat fee. The board believed implementing these new fees would encourage students to graduate in four years. “There is no plan right now to about when to bring the proposal back,” Mike Uhlenkamp, spokesman Chancellor’s Office, said. Board member Lupe Garcia inquired whether the goal of implementing these fees was to change student behavior or to increase revenue at the Board of Trustee’s meeting in September. “The trustees think they know the students and why they aren’t graduating, but the truth of it is they don’t know and charging students for having more units is basically saying who can and cannot graduate,” Marcela Pimentel, a communications major and member of Students for Quality Education, said. SQE is an on-campus organization fighting for quality and equal opportunity education. Stephanie Thara, spokeswoman for the Chancellor’s Office, explained that these fees would have been voted on as an all or nothing fee increase, but since the shelving of the proposed fees this is subject to alterations. The graduation incentive fee would have charged students with more then 160 units $372 to $399 extra per unit, according to the Nov. 14 agenda. It would encourage “super seniors” to graduate and open up spots in the university for new comers. According to the SF State Data Book, however, only 12 percent of first-time freshmen enrolled as full-time students graduate within four years. Additionally, only 31 percent of transfer students finish their undergraduate within two years at SF State. SF State biology major Mariana Leiva has spent four and a half years at the University and plans to graduate this semester. She explained that her experience here at the University has been a rough road. “When I was a freshman, we had our orientation and we’re supposed to get the classes we need to start off our major. In biology there were no classes left,” Leiva, 22, said. With no classes available in her major, Leiva fell behind quickly. 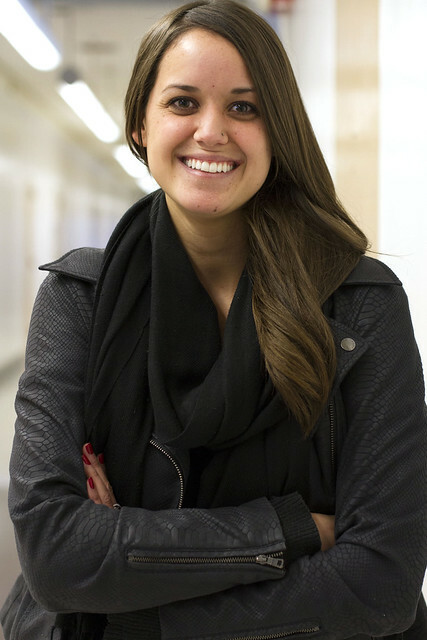 Business marketing major Vanessa Correa, 22, has been here four and a half years. She explained that availability and impacted classes make it difficult to keep up with the four year track. “My major isn’t impacted, but it sure feels like it. Usually there are at least 10 students that try to crash these classes because everyone is trying to take them,” Correa said. Correa also talked about the struggle of taking classes students actually want to take considering they are paying for it. “I’m in a class I didn’t want to take but had to because what I needed wasn’t available, and I’m a graduating senior so I feel like I should of had the option,” Correa said. According to the Board of Trustees, the CSU system has been encountering problems with making access to classes equal and fair. The proposed solution is to charge students taking more then 17 units an extra fee. Right now students are charged on a two-tier basis. Anyone enrolled in six units or less is charged $2,215 and anyone taking more than six units are charged $3,469. However, this fee plans to install a third tier for those students taking a heavy load and would range between $182 to $209 per additional unit. The third fee would affect students who need to repeat courses. The trustees have acknowledged that since classes have been cut, students who want or need to repeat courses are taking spots from incoming students. The proposed fee would cost anywhere from $91 to $105 per semester unit for students who want to retake a class. “No student shall be assessed more than one of the three proposed fees for the same course,” Thara said in response to the possibility that a student would be eligible for every fee. Some students say that the idea of new fees isn’t the way to encourage students to graduate on time. “The CSU system is the most affordable system in the state and by charging students these fees this is limiting the amount of people who will have access to higher education,” Paul Murre, 21, president of California College Democrats, said. SQE held a rally Nov. 8 to get students to sign a petition and share their stories of what it’s like to deal with the CSU system today.